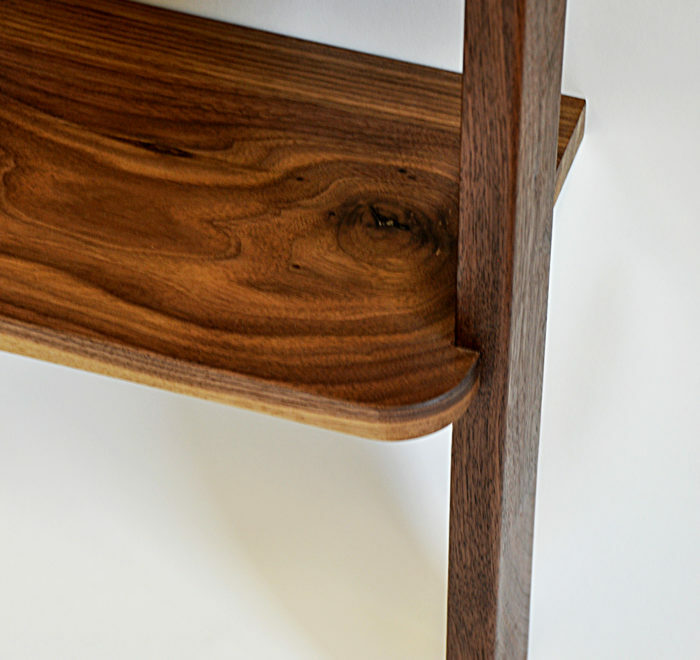 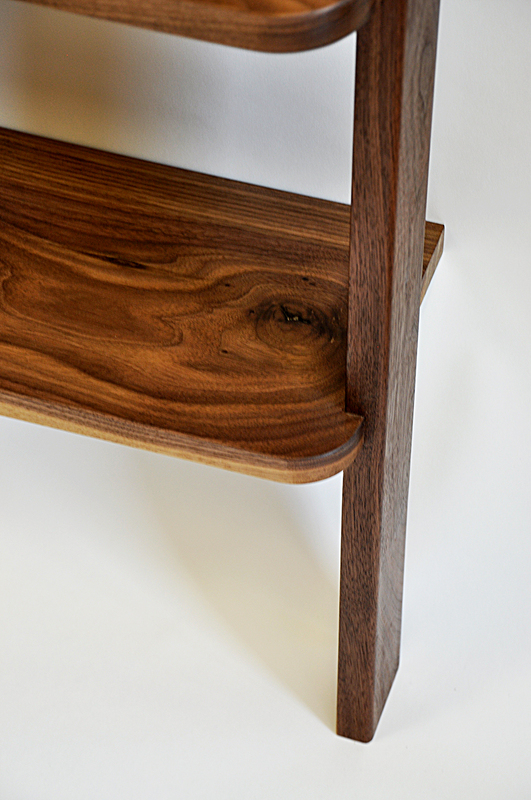 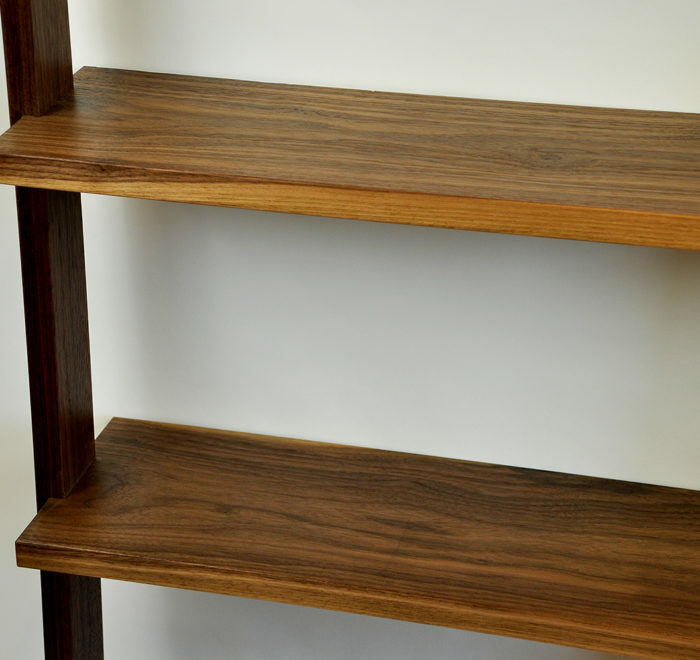 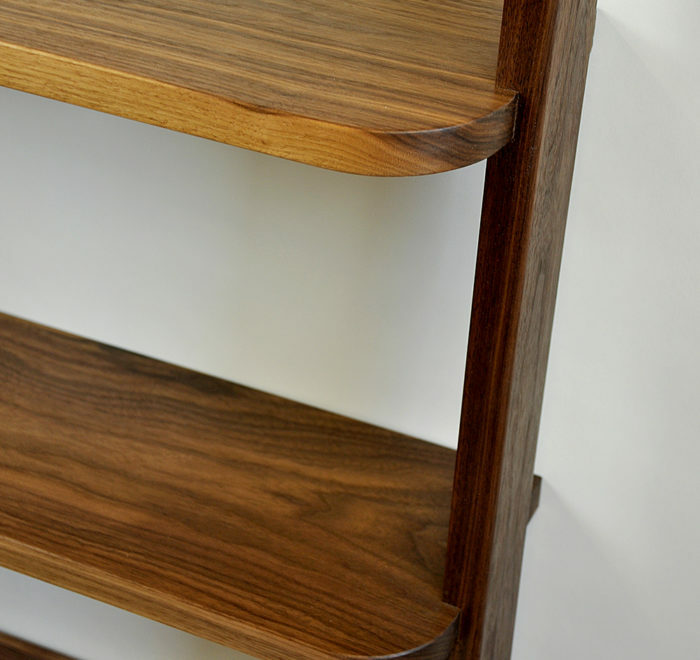 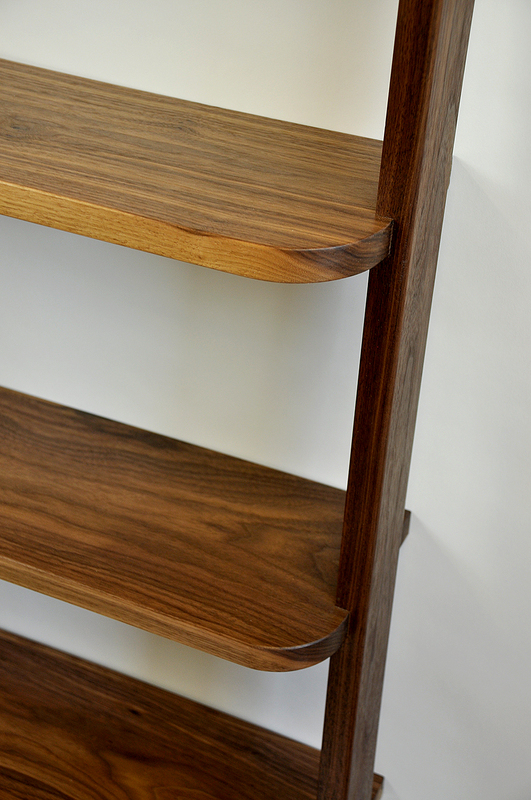 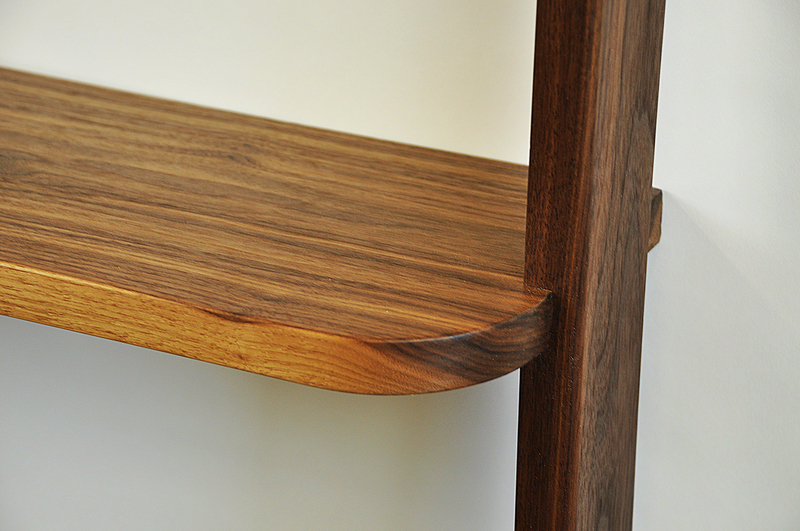 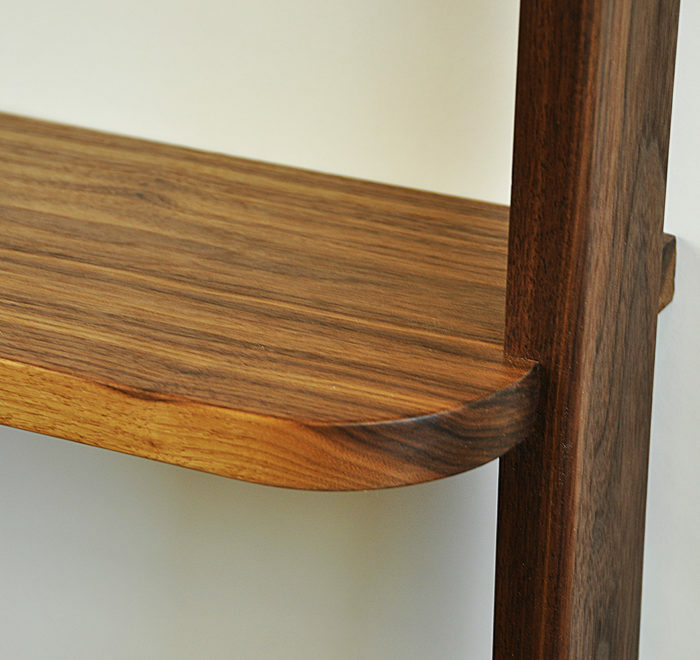 A leaning bookcase made from solid American black walnut. 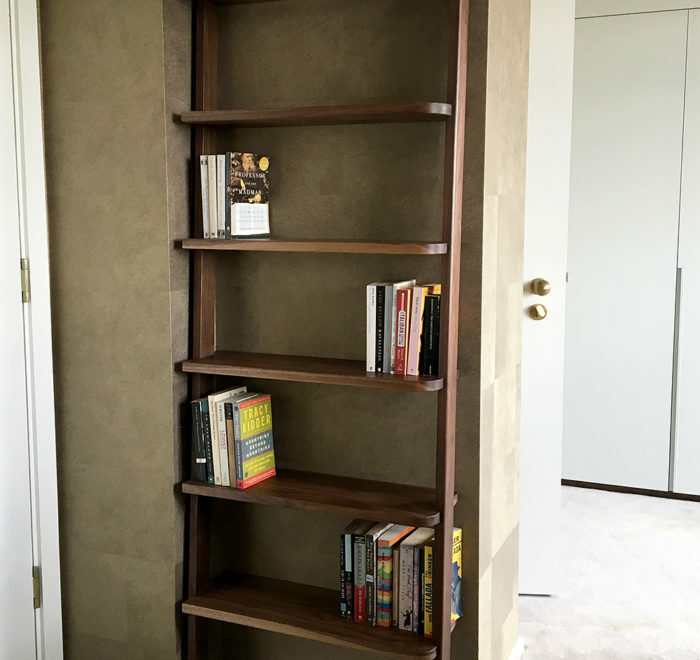 This bookcase was designed to fit into a corner alcove and has square edges on the left where it meets the wall and soft, rounded ends on the right where people pass by it. 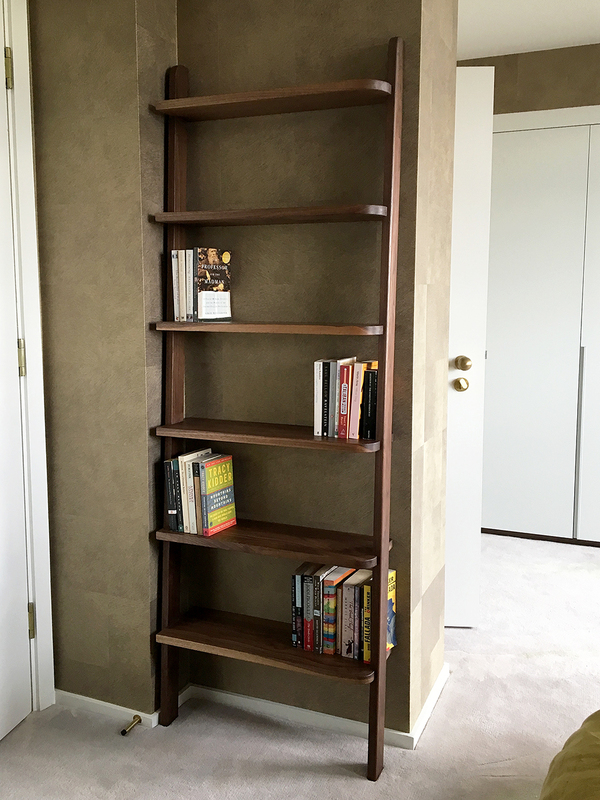 It sits happily against the wall without the need for fixings. 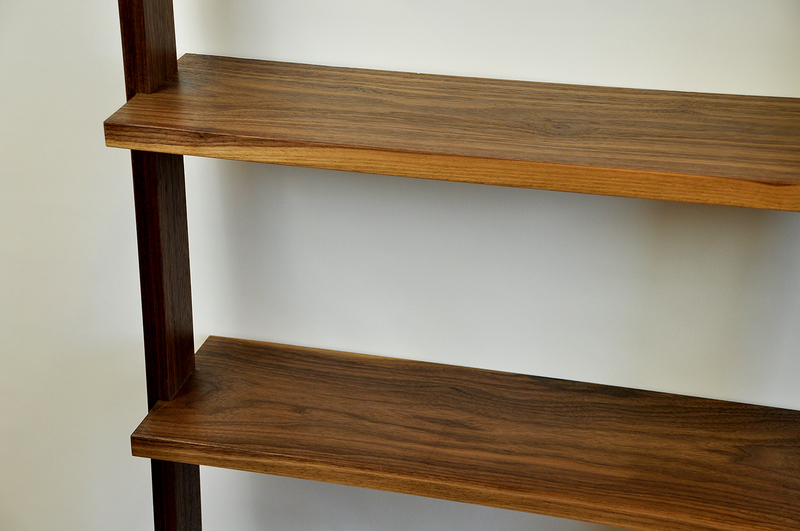 Finished in a satin oil wax.